Sharon is unsettled by a strange moisture patch at school, while Rob’s big boss at work visits London and takes a close interest in his career. Elsewhere, Fran and Chris make a major decision. 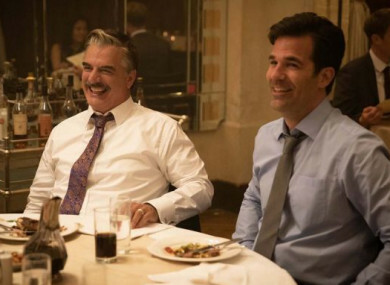 Comedy, written by and starring Rob Delaney and Sharon Horgan, with Chris Noth guest starring. Claudia Winkleman and Nick Robinson present the final as the overall winner from the seven categories – Leaders, Explorers, Scientists, Entertainers, Activists, Sports Stars and Artists & Writers – is decided by the public. The seven advocates – Trevor McDonald, Dermot O’Leary, Chris Packham, Kathleen Turner, Sanjeev Bhaskar, Clare Balding and Lily Cole – each argue on behalf of the finalist chosen from their field of endeavour, hoping to secure the backing of the viewers, with the overall result announced at the end of the programme. Unfortunately, I was not eligble for the series as I missed the deadline for sending in applications. A crying shame. Comedians Jim Moir (aka Vic Reeves), Joe Lycett, Josie Long and Phill Jupitus are joined by actress Maureen Lipman and meteorologist Tomasz Schafernaker as they put their artistic skills to the test as they paint portraits of actor Billy Howle, author Howard Jacobson and entrepreneur Kanya King. Netflix has bought the rights to Extremely Wicked, Shockingly Evil and Vile, the new movie starring Zac Efron as notorious serial killer Ted Bundy. Having recently screened at Sundance, the streaming giant forked out $9 million for the movie despite seemingly dividing audiences over the film’s portrayal of Bundy. Vera (Virgin Media One, 9.00pm) Last in the latest series of the detective drama. Trust (RTÉ Two, 10.00pm) The crime drama also wraps this evening. Danny Dyer’s Right Royal Family (BBC One, 11.10pm) Danny continues to journey back through his family tree, recalling the lives of Edward II and his French wife Isabella, whose lives play out like a soap opera.